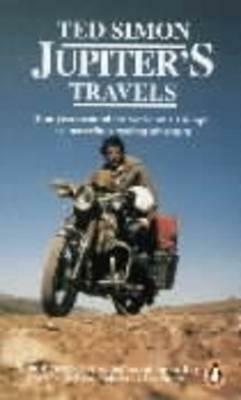 In the late 1970s Ted Simon set off on a Triumph and rode 63,000 miles over four years through fifty-four countries in a journey that took him around the world. Through breakdowns, prison, war, revolutions, disasters and a Californian commune, he travelled into the depths of fear and reached the heights of euphoria. He met astonishing people and was treated as a spy, a welcome stranger and even a god. For Simon the trip became a journey into his own soul, and for many others - including bikers Charley Boorman and Ewan McGrergor - it provides an inspiration they will never forget. This classic text, which has informed a whole genre of travel writing in the thirty years since it was first published, will never be bettered for sheer adventure, passion, humour and honesty. Brought up in England by a German mother and a Romanian father, Ted Simon found himself impelled by an insatiable desire to explore the world. It led him to abandon an early scientific career in favour of journalism, and he has worked for several newspapers and magazines on Fleet Street and elsewhere. Ted Simon is also the author of Riding Home and The Gypsy in Me.